Cover Artwork: Dublin Bay with Cloud Sky (2002), reproduced by kind permission of the artist, George Potter RHA. Photography by Gillian Buckley, courtesy of Taylor Galleries. paddling pool might well be the lake in Central Park. lost in a watered-down detail of its own threaded myth. as embraces throwing caution to the wind. over Istanbul in pursuit of Constantinople. There is something mysterious and enigmatic but at the same time mildly addictive about Anne Fitzgerald's writing. Just as when you are reading Joyce, you stumble along saying in your head "I think I know what he's on about", so it is the gist of Fitzgerald's writing that carries you along on the tide. 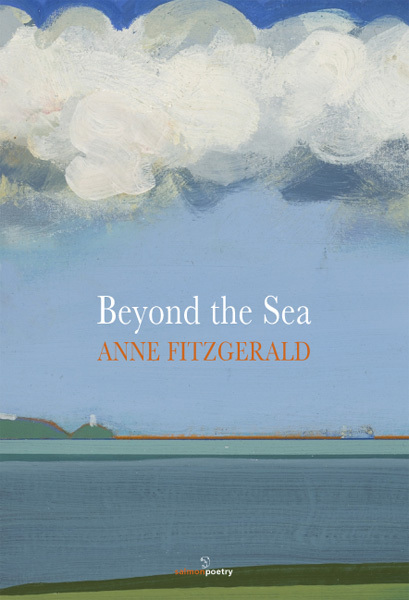 Beyond the Sea is Anne Fitzgerald's third book of poetry and is published by Salmon Poetry. Living in Dún Laoghaire, the cover of Fitzgerald's collection shows a beautiful painting entitled Dublin Bay with Cloud Sky by George Potter RHA. The book consists of over forty poems and prose pieces which all display a very distinctive style of construction. There is much use of song lines mid sentence that make the reader stop and find the tune in their head as well as the spelling of words to give an accent by the preceding use of the letter 'd', as in "The year d'flying duck flew off the wall of flock,..." in 'Pure Fiction'. Fitzgerald's writing is very firmly placed in its Irish identity and there is also a theme of the characters imbibing various different alcoholic beverages. The enigmatic style of writing, almost unstructured streams of consciousness, draw the reader in and it is the subconscious that starts to identify recurring themes as the words flow along creating patterns and meaning. There are four prose-style pieces with one in particular, 'Feast of the Assumption',being particularly interesting, with its parallels with the father's pacemaker, his "black box", to the backpacks of the suicide bombers on their way to Heathrow. There is much to come back to in this collection, to retrace the words and find new understanding and meaning. Likewise, there are other poems that speak straight to you in their clarity; 'Mass Rock at Glenstal' has familiarity in its lines, "this blessed flock wallpaper of ours; where I've traced/ and retraced times spent listening to family histories,/ the Rising, price of the pint and good weather for drying." Anne Fitzgerald's work is very modern and yet at the same time speaks of Ireland's past, its character and its characters. 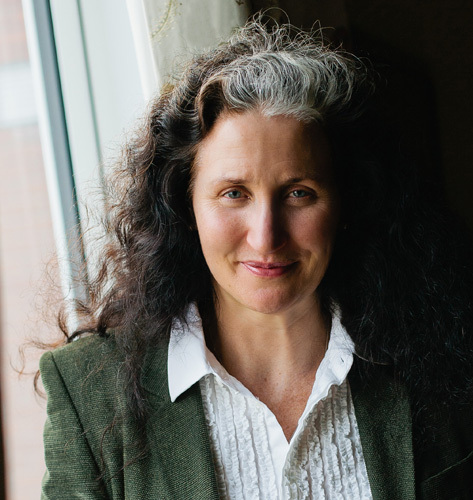 The experimental nature of her writing is teasing and confusing at the same time and read as a whole, the reader is in turn rewarded by becoming attuned to the voice of Fitzgerald and that voice starts to speak a language that is being shared as you venture forward into the work that is Beyond the Sea.